KUANTAN, 14 May – UniKL MESTECH undergraduate, Siti Munirah Aminah Bt. Mohd Razali won first place for Best Poster Presentation in the Physiology, Pharmacology & Toxicology category at the 8th Malaysian Symposium of Biomedical Sciences (MySymBios) in UIA Kuantan. 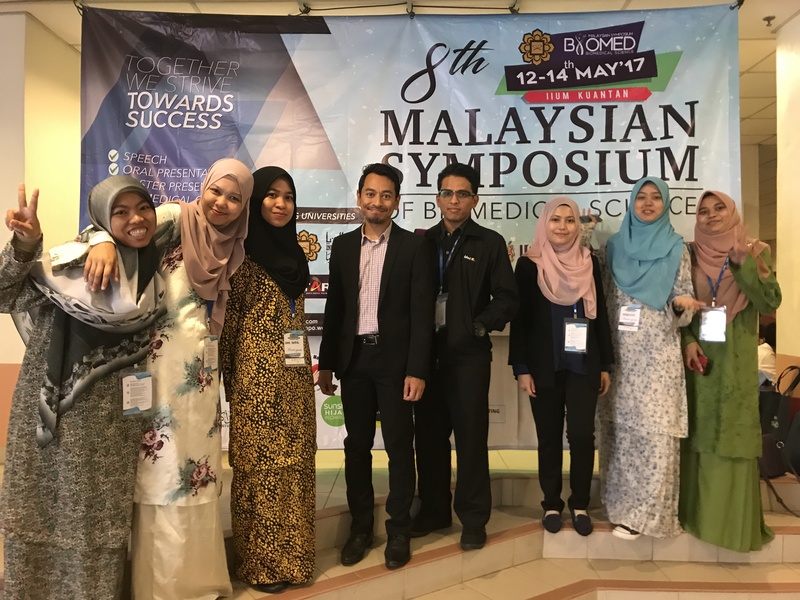 The annual symposium is the largest gathering of Biomedical Science students and saw participation from various universities in Malaysia which include UniKL, UIA, UKM, USM, UM, UTAR, IMU and Newcastle University, Malaysia among others. Despite sending the smallest delegate of 7 student participants, UniKL found itself in the winning circle with the project entitled “Comparison of ECG and Hematological Parameters between Active and Passive Smokers”, a project supervised by Mr. Muhammad Taufiq Badaruddin. It’s a one of a kind programme which provides a platform for undergraduate students to hone and showcase their presentation skills and share their research activities. More importantly, the symposium would allow future collaborations and networking with other universities, future graduates and potential employers. 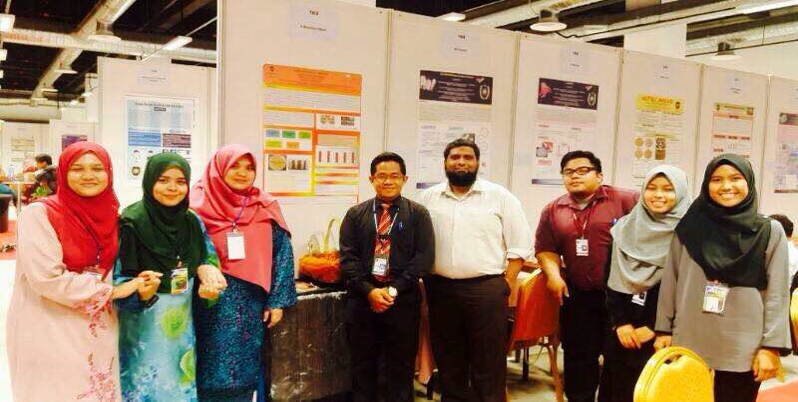 At the Minggu Penyelidikan dan Inovasi (MPI ’17) held at Pusat Sains dan Kreativiti Terengganu on the 12th and 13th April 2017, three UniKL MESTECH students won 2 silver and 1 bronze medal awards as part of a collaborative research team which also comprise researchers from UniSZA, USM, University of Würzburg, Germany, University of the Punjab and King Edward Medical University, Pakistan. Sharifah Nur Liyana Bt. Syed Zamili, Anis Nabila Bt. Mohd Nor and Noor Hidayah Bt. Badaruddin presented their projects, X-Infect (multi-purpose Cleaner), X-Blackout Mask (halal anti-acne product) and Fat-O (energy molecules: anti-obese, cardioprotective and cognitive enhancer) that won the hearts of the judges with their innovative approach. Co-organized by UniSZA, UMT and TATI University College, the symposium was successful in gathering researchers with brilliant minds to empower creativity and innovation through research.